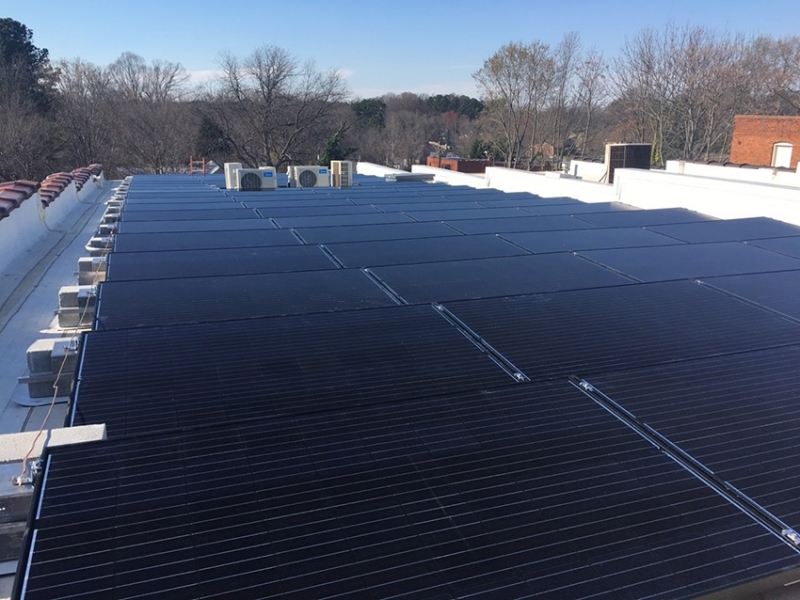 Powerhome Solar, headquartered in North Carolina, today announced the launch of its commercial division, which is headquartered in Troy and will serve larger, more diverse customers. Previously, the company focused primarily on residential solar panel installation. The new operation will begin with Michigan businesses, and the company plans to expand to other markets. It also plans to work with developer-owned office buildings, where it can help property owners power the common areas of their buildings and outdoor lights by installing canopy solar carports. Powerhome says parking lots are often expansive and offer sunny locations to install panels. Using solar power can reduce bills and carbon footprints, allow buyers to own their power, and allow companies to benefit from a 30-percent federal tax incentive on newly installed systems. Powerhome has partnered with the Detroit Lions, installing solar panels on the parking garage at Ford Field and at the team’s practice facility in Allen Park.